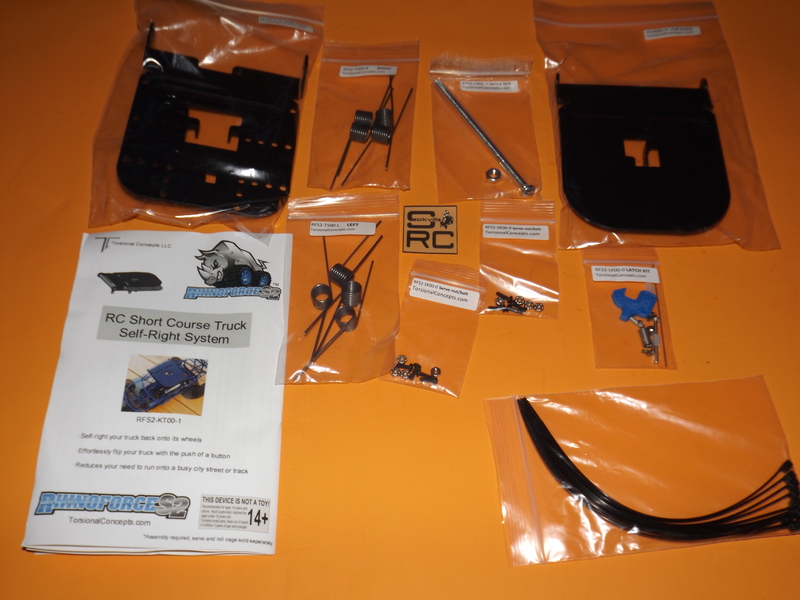 Back in February, we featured a post about an exciting new product that has the potential to change the way we use our RC Vehicles. When you put your Short Course Truck on its roof, the RhinoForce S2 eliminates the need to walk and flip it over. With the touch of a button on your transmitter, the RhinoForce S2 will flip it back on to its wheels. The RhinoForce S2, the RC SCT Self Righting system, is the first product to be released from Torsional Concepts and we were very fortunate to get our hands on an early release thanks to our friends at Torsional Concepts. I want to share my thoughts with you as I walk my way through this brand new and interesting product. At this point, I plan to write 3 posts over the next week about the RhinoForce S2, Initial Impressions, Assembly and a Product review. The package arrived in a USPS small flat rate box. I was immediately impressed with how light it felt even in the postal box. When I opened it up, I liked how everything was packaged in resealable bags. I use these bags a lot in this hobby, so it is always good to have extra. Each bag was clearly labeled with a part# and description. The instructions appear to be very well laid out and the matching illustrations, which include numeric references that correspond with the instructions, are a nice touch. Between the labelled part bags and the instruction sheet, I don’t expect a problem on assembly. The parts look and feel very well made, with the basher and durability in mind. 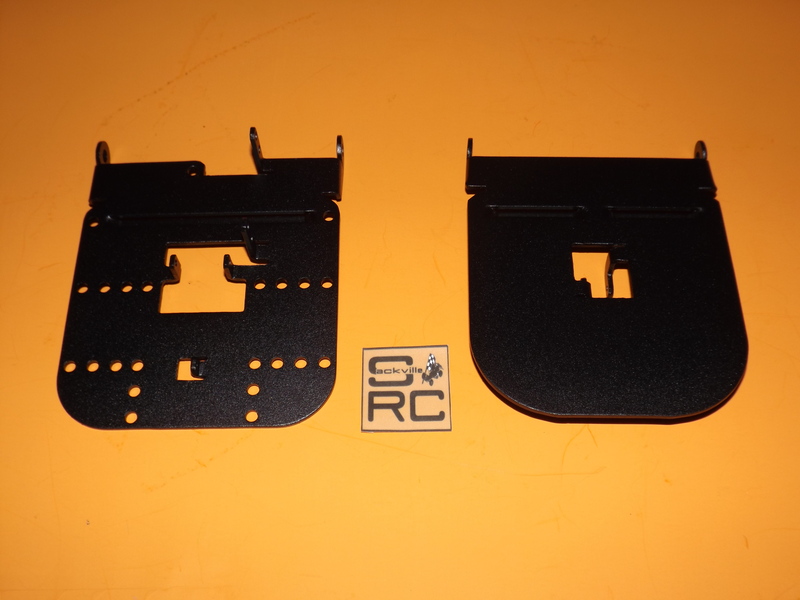 The plates are made from 5000 series aluminum and are powder coated black. All the hardware is self locking, eliminating the need for Loctite. 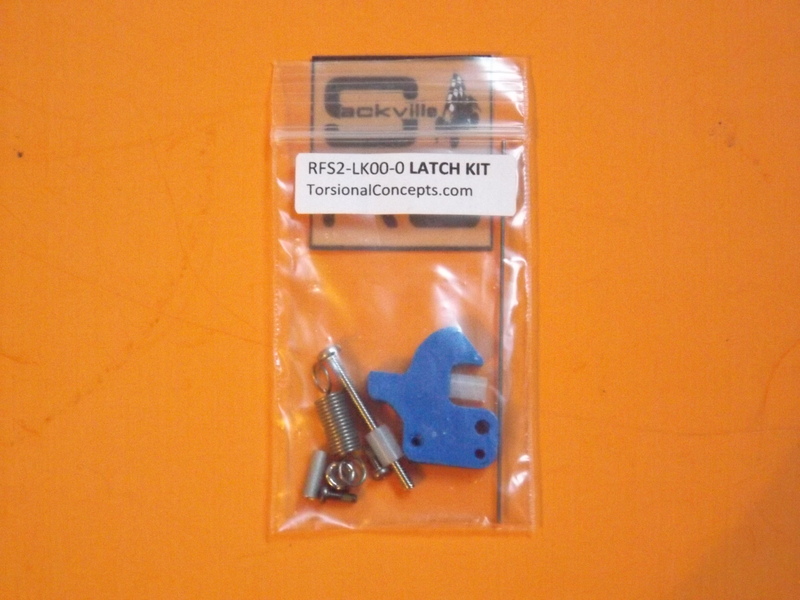 The latch is actually made in-house on their own 3D printer and Torsional Concepts stand behind the quality. The Torsion Springs are tough and will have plenty of “Pop” to spring your truck back on its wheels. It looks intimidating, but the instructions are clear. 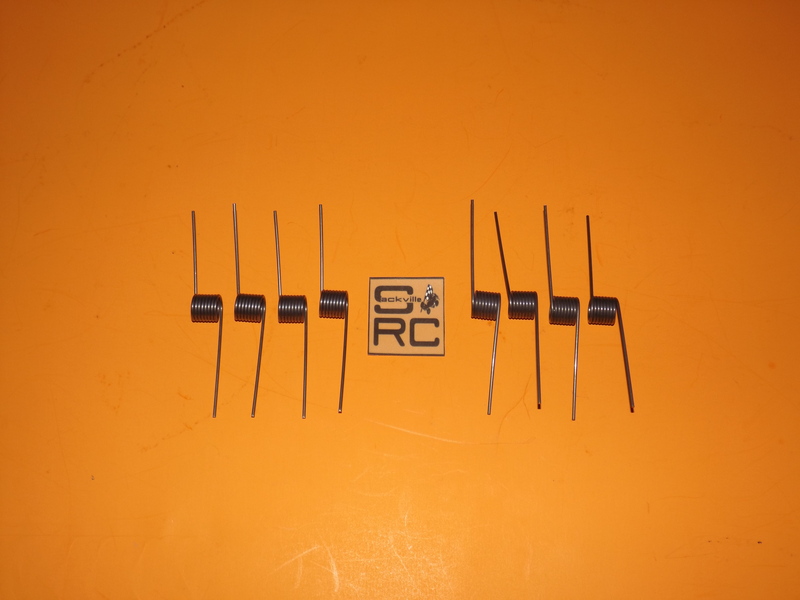 Eight Torsion Springs should offer plenty of self righting power. 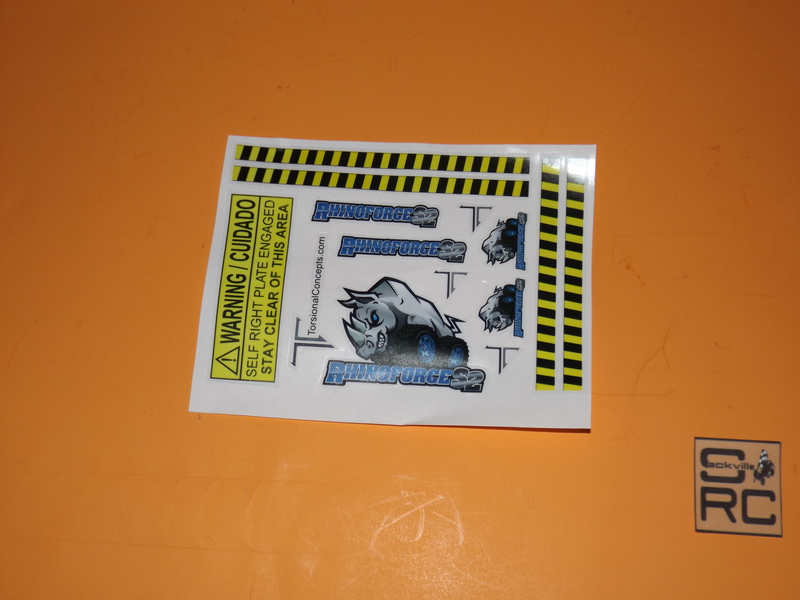 This whole package is topped off with a eye catching decal sheet that features pre-cut decals and their great logo. There are also warning stickers that are included, that are to be used with safety in mind. The RhinoForce S2 makes an amazing first impression. All the pieces may be a bit overwhelming for a beginner to the hobby, but reading the instructions and referring to the illustrations should take care of any initial hesitation. I look forward to putting this together and trying it out. I hope to have an assembly update in a few days. The RhinoForce S2, retails for $69.99 and can be purchased at Torsional Concepts. 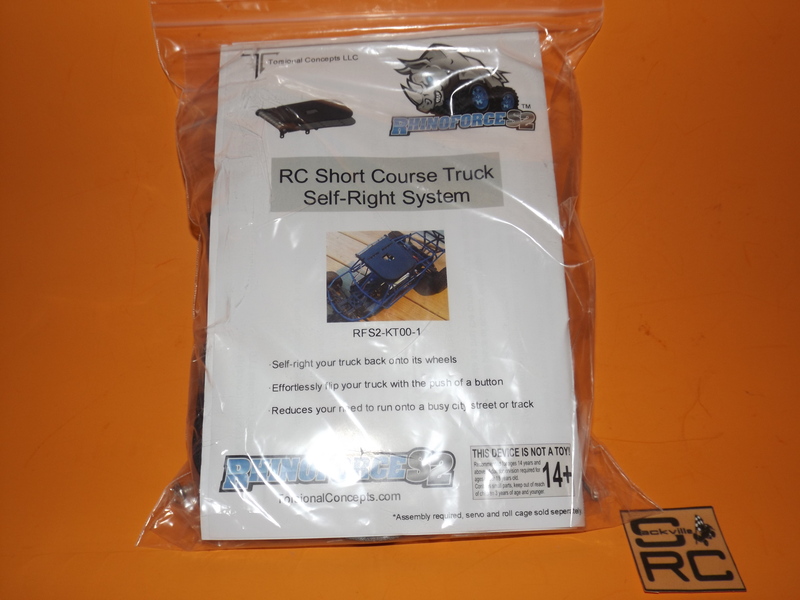 Check out RC Vehicle Self-Right System: RhinoForce S2 if you want additional info and to read our interview with Torsional Concepts Co -Owner and Engineer Thomas Pischiera.